Sometimes you wake up and remember that you're trying to keep a consistent blog schedule to put things up on Mondays, but don't have anything ready or in mind. 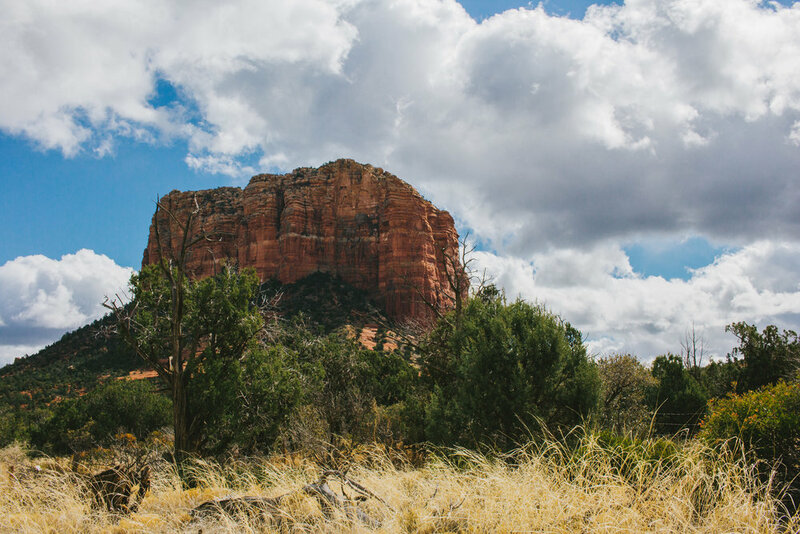 Last week we didn't post because we were coming back from a trip the previous week in Sedona, AZ and didn't have any photos edited from the trip. 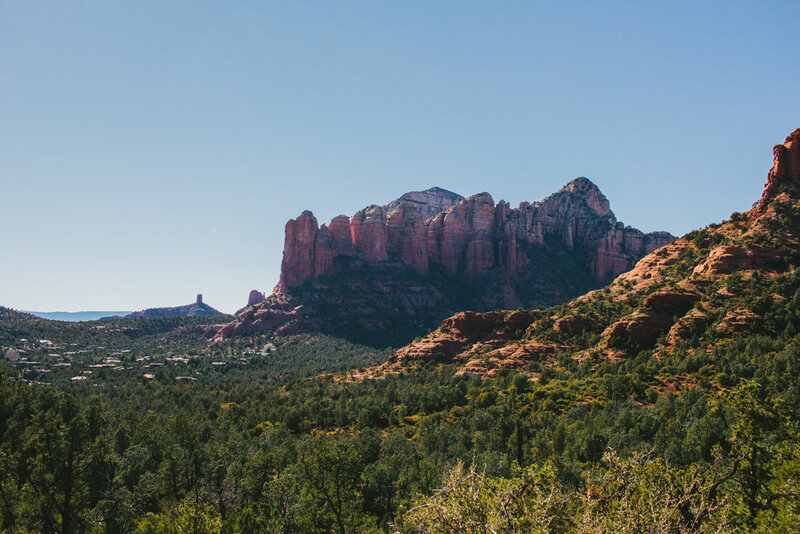 But today, I'm here to share a few things around the shop and a few photos from our Sedona trip. 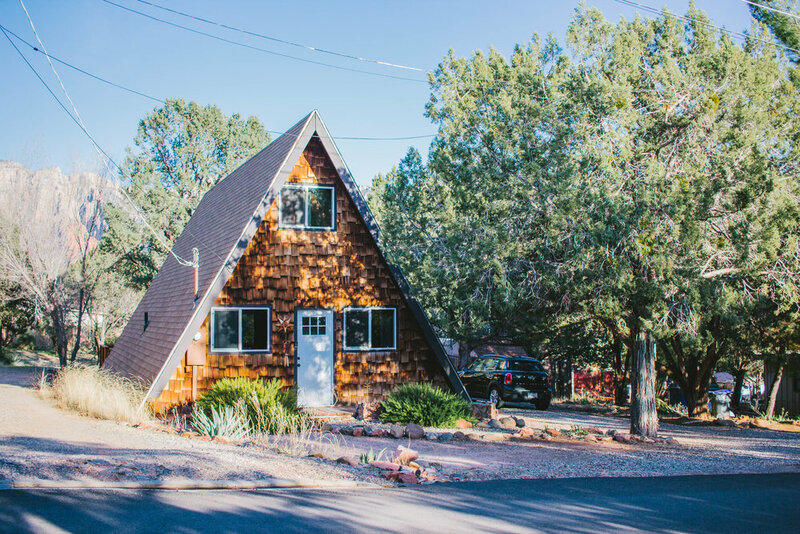 We stayed in this beautiful chalet in Sedona, which acted as a central hub for various activities through the city and to some hiking spots. Our first hike was the Courthouse Butte Loop trail, which provided stunning views after the recent rain and was a nice way to start of the trip with a couple hour, 3.9 mile trail. I'm not a night photographer by any means, but it's still fun to experiment and give it a go from time to time. This shot was pointing down the road from our chalet and captured a nice silhouette of the rock formation in the distance and some beautiful stars. 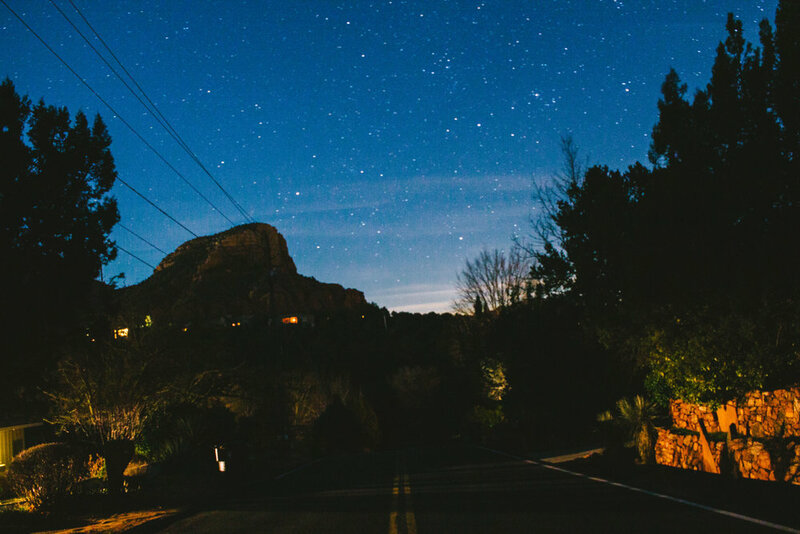 Fun fact: Sedona is registered under the Dark Sky Community, which was designated in 2014 and requires the entire city to follow lighting ordinance codes. Some of the clearest night skies I've ever seen. Another hike we took was the Jordan Trail. This trail is 1.5 miles and leads to the Devil's Sinkhole, which I captured, but couldn't get a good enough view with my 24mm lens because it was so massive. Regardless, we had stunning views on our hike! Changing it up a bit here. I've been wanting to revamp my watch strap and slim down my keys. I was getting way too much jangle at my side that was becoming obnoxious. Really, I wanted to change the overall aesthetic. I had been enjoying an all black approach to my keys with an all black keychain, black flashlight, and black key organizer. It looked great, but I had too many items on there and have more recently been enjoying the brass look. I picked up the Massdrop AAA pocket flashlight and made a Brass keychain with Horween Natural Dublin Leather and removed all but two keys; my house key and a car key. Feels much better. Besides that, I loved my past watch strap, but it was made a long time ago and had thicker thread, making for a more chunky looking strap. I recently saw someone with a great strap and cuff and wanted to take a stab at it. I'm using Horween English Tan Dublin for the strap and I believe .020" waxed brown polycord for a thinner look to the strap. 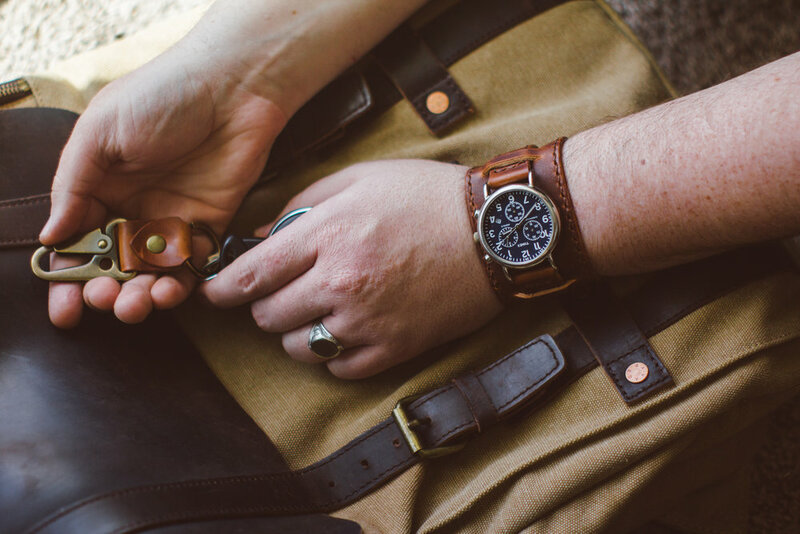 The strap passes through the cuff and sits on my wrist, but it's nice to be able to remove the cuff at any time and just have the strap alone. I've also lined the underside with pigskin to allow for a more comfortable feel. Here's the watch on my wrist. I'm really loving it. Can't wait to see people's reactions and also how this thing will age over time. I'll leave you with this stunning view, where I'm gazing at the beautiful landscape from atop the Airport Vortex in Sedona, AZ. Also, if you're interested in the Brass keychain with Natural Dublin leather, I've provided the link to the listing below. Have a good one!